Static payment gateways are rapidly proving ill-equipped to handle today's complex payment ecosystem. To prepare your company's payment stack for hyper-growth, you need to move beyond the static infrastructures of yesterday to a smarter, more dynamic payment switch architecture that lets you efficiently manage and optimize your entire payments infrastructure end-to-end. 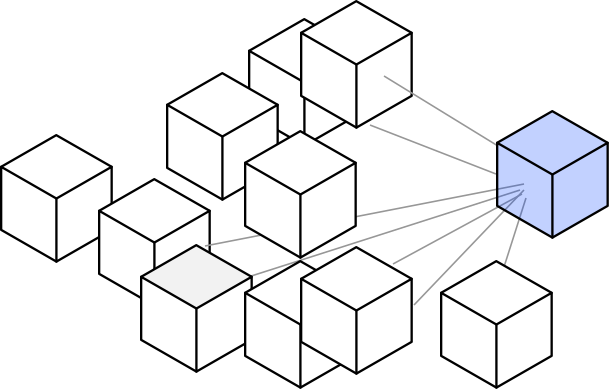 A payment switch is a foundational element of all modern payment architectures. It’s a smart processing software that enables communication between a multitude of payment providers to process payments in the most efficient way possible. Unlike today's payment gateways which provide static connections that are hard to change, a payment switch lets you devise rules to dynamically route transactions between a multitude of acquirers and Payment Service Providers (PSPs). These rules can include filters like routing by acquirer fees, retry of declined transactions, and much more. By routing transactions according to business needs and adjusting to the real-time environment, you can provide your customers with the best local payments experiences and optimize all your transactions from multiple providers to save $$$. Don't let your payments stack inhibit your company’s growth. ZOOZ’s platform provides a smarter way to manage, optimize and control your payments globally. It’s API driven and employs a user-friendly self-service interface to enable payment teams to set rules for transaction flows to best meet their business objectives. With a rich set of optimization tools that empower your team to make the right decisions and an advanced payment switch architecture that drives efficiencies, the ZOOZ platform maximizes your performance and takes the complexity out of payments so that you can focus on what matters - hypergrowth. The ZOOZ platform allows for the easy integration of dozens of payment providers and methods from around the world. It offers a unified analytics dashboard to help you better understand your payment activities and the ability to test your payment flows before you go live to make sure your transactions are ready for action. You can also rest assured that all your payments are as cost-effective and efficient as possible with ZOOZ's dynamic transaction routing capabilities. When you have dozens of payment providers located around the world and extreme transaction volumes your fees can start to put a dent into your profit margins. With more providers, your exposure to failures and declines also increases leading to lost sales and declining Customer Lifetime Value. With ZOOZ’s dynamic payment switch architecture you can optimize your payment flows by choosing from over 50 filters to set routing rules by things like currency, amount, card country, BIN, card issuer, and transaction type.Improve your overall approval rates, reduce payment processing fees, avoid downtimes and create a better customer experience so that you can continue to grow. Route transactions to local payment providers and methods eliminating cross-border and currency exchange fees. Save on international transaction fees by sending your payments to the lowest-cost providers. If a payment is declined or rejected, ZOOZ dynamic routing will help you rescue the transaction by sending it to a backup provider of your choice. ZOOZ supports rapid growth by empowering merchants to extend their payment network through the addition of any supported provider or method with one click. With a single API, merchants can serve multiple payment service providers, saving big on integration costs and reducing time to market. Ensure your payment flows are ready for action by testing your integrations before you go live with ZOOZ’s test environment. Learn which optimizations work best for your business needs without having to connect to live payment networks. Make data-driven decisions and get a system-wide view of all payments activity with a comprehensive real-time analytics dashboard that features all your KPIs in one place. With the ZOOZ advanced analytics dashboard merchants can search and find any payment regardless of provider, create custom cross provider reports and compare payment service provider performance. Discover how much money you've saved as you watch your approval rates skyrocket! After you’ve done the hard work to grow your business, the last thing you want is your customers feeling insecure at the checkout and losing their trust in your brand. By replacing raw card data with randomly generated values called tokens, you'll no longer need to transmit sensitive customer data. You’ll also avoid having to store your customers’ raw data in your ecosystem with ZOOZ's PCI compliant token vault. Tokenizing your customers’ payments data will help you reduce the impact of potential damages when a breach occurs and lower your PCI DSS scope. As an added benefit, ZOOZ’s universal tokens can be used across all your payment providers giving you greater control and helping you avoid the difficulties retrieving tokens from each provider when the need arises. All your payment providers and methods connected and managed by you. 2019 © ZOOZ. All rights reserved.